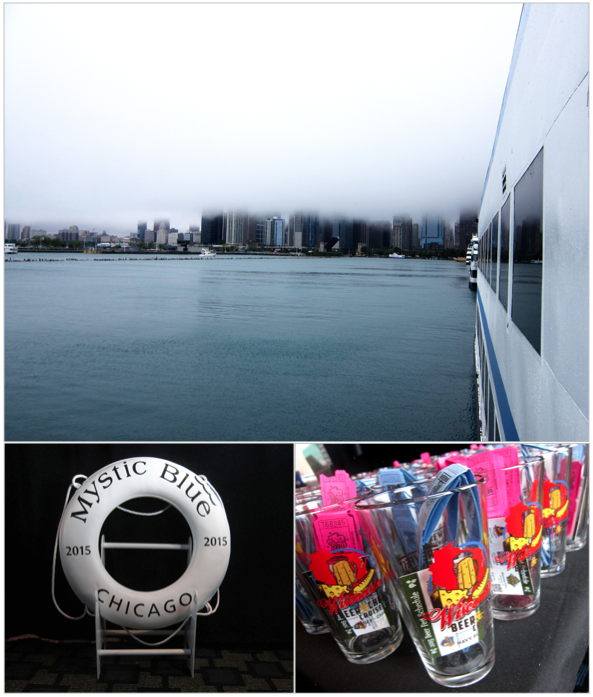 On Saturday, May 30 I attended BrewFest Partners Wisconsin Beer and Cheese cruise aboard Navy Pier’s Mystic Blue cruise boat. As this unique floating fest left from the pier’s end to sail up and down Lake Michigan for a couple of hours, fest-goers were treated to DJ-provided tunes and a view (albeit cloud-covered) of the Chicago skyline. A handful of Wisconsin breweries, plus two cider-makers were on board pouring their best selections. Clocktower Creamery was also in from Madison, WI to provide three special cheese offerings: Chèvre, a semi-sweet soft and fluffy spreadable cheese, Quark, a salty and slightly sour cheese spread and Squeaks, a salty and delicious rubbery orange-yellow nugget that squeaked when you chewed it. 3 Sheeps’ flagship beer is a lightly bitter American IPA balanced with quenching floral and mango hop notes. This sweet-and-bitter beverage went perfectly with the chewy, salty curds and both made me thirst for more. This imperial wit with green tea added had complex notes of coriander, citrus, and tea leaves, all balanced on a creamy backbone that masked the booziness of this beer. In combination with the slightly sweet, tangy and fluffy French-style goat cheese, O-Gii’s sweet citrus notes were made even more prominent and enjoyable. Made with bitter, heirloom English and French apples this funky and fruity cider was barely sweet up front and had a dry finish. The quark’s light and tangy, slightly sweet taste complimented the beverage perfectly–both were equally funky and earthy, tangy and sweet. 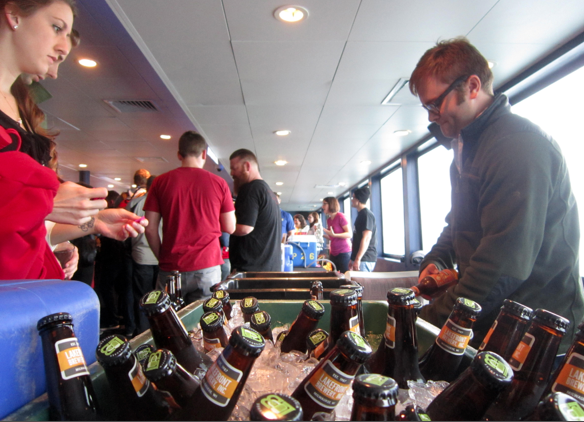 Brewfest Partners’ next Chicago event will be the Chicago Small Craft Cruise, also aboard the Mystic Blue on Sunday, July 26th, showcasing 12 “of the most unique and crafty” small breweries of the craft beer scene in Chicago. Tickets ($49) are on sale now, right here. MC Johnsen is a professional graphic designer and illustrator based in Chicago, IL. She is also the artist and author behind beer blog Worth a Thousand Beers. In her spare time MC enjoys homebrewing, taking on DIY projects, CrossFit, and binge-watching TV shows on Netflix. Her favorite coffee beverage is an Americano, and she shares a home with her husband Matt and their dog Dallas in Lombard, IL. You can find her on Twitter @worth1000beers.